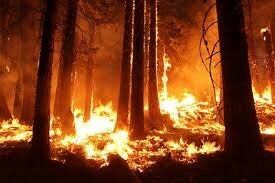 A Gaza-based Salafist militant group, the Ma’sadat al-Mujahideen, has made a surprising claim of responsibility for igniting a series of devastating forest fires near Reno, Nevada. The claim was made in a statement from the group entitled “Declaring War on America by Setting Fire to Nevada Forests” that was carried on a number of jihadi websites (Ansar1.info, January 21). The Work of the Gazan Mujahideen? We give the enemies of Islam and the allies of the Jews who occupy the land of Palestine three months beginning from the date of this statement to disown [themselves] from the Jews who occupy the land of Palestine, and their actions against our Moslem brothers, and we demand the end of their alliances that oppress our rights as owners of the land, or we will be forced to extend our war until it spreads in all the lands that plot with our enemies. Demanding that the Jews “return from whence they came since they have no place among us,” the movement points out the ease with which damaging attacks can be inflicted on nations such as America from within. Referring to the alleged setting of the Nevada forest fires, the message encourages similar actions by other Muslims: “Here you see with our own eyes what simple materials can do, that are cheap in your enemy[‘s homeland], and how much damage it can inflict in them.” The brush fire in a valley between Carson City and Reno consumed more than 3,000 acres and forced the evacuation of more than 4,000 residents (Los Angeles Times, January 19). The Gazan Salafists did not provide any evidence of their claim, the veracity of which remains highly questionable at the moment. Though it has been impossible to confirm the role of Ma’sadat al-Mujahidin in a number of incidents of suspected arson to which the movement has made claim, the group seems rather fixated on the use of fire as a tactical weapon in an asymmetric jihad. Last December the group issued a statement entitled “Setting a Fire in Factory on Materials and Chemical Fertilizers,” and a year earlier claimed to have started the fires in the forests of the Mount Carmel mountain range in northern Israel that killed more than 40 people. Led by Shaykh Abu Ubaydah al-Ansari, the Ma’sadat al-Mujahideen is heavily influenced by the Salafists’ intellectual hero, Shaykh Ibn Taymiyya (1263-1328), and have declared it their duty to “liberate our [Muslim] lands and sanctuaries, not out of patriotism, but as a compulsory Islamic duty” (Shabakat al-Tahadi al-Islamiya, February 16, 2010). The movement is highly critical of Hamas for its alleged failure to fully implement Shari’a in Gaza, its failure to confront “the Jews” militarily, and its alleged “apostacy” (see Terrorism Monitor, March 4, 2010). This article first appeared in the January 26, 2012 issue of the Jamestown Foundation’s Terrorism Monitor. In late December, South Sudan president Salva Kiir made a state visit to Israel, meeting with President Shimon Peres, Prime Minister Benjamin Netanyahu, Defense Minister Ehud Barak and Foreign Minister Avigdor Lieberman. The visit alarmed many in the traditional Khartoum power structure, including former prime minister Sadiq al-Mahdi, who described the visit as “devilish” and part of an Israeli effort to find new allies after alienating Turkey and losing the cooperation of the Mubarak regime in Egypt (Sudan Vision, December 26, 2011). A spokesman for the Sudanese Foreign Ministry said the government was studying the national security implications of Kiir’s visit to Israel, citing Israel’s leading role in an international campaign to “foment” the conflict in Darfur (Sudan Tribune, December 22, 2011). Also on the agenda was the fate of an estimated 15,000 Sudanese refugees in Israel, many of them Muslims from Darfur and Christians from the South Sudan that the Israeli government would like to return in order to preserve the Jewish character of Israel. Prime Minister Netanyahu likened the arrival of these refugees to “a nationwide plague – in the economy, society, homeland security. There is no obligation to take in illegal infiltrators. This is no longer a matter of making a decision – it’s a necessity, an imperative… Israel’s future as a Jewish and democratic state must be secured” (YNet News, December 27, 2011). 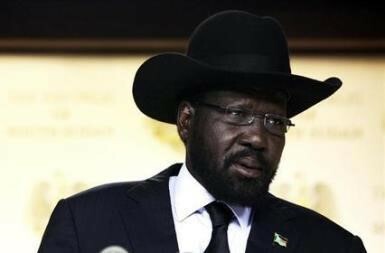 After Kiir’s visit, Israel announced it would send a delegation to South Sudan to investigate means of assisting the new nation. Kiir is reported to have asked for greater cooperation in the fields of technology, agriculture and water development (DPA/Reuters, December 20). Right on the heels of the South Sudan president’s visit to Jerusalem came the first official visit to Sudan by the Hamas prime minister of Gaza, Ismail Haniya. After arriving in Khartoum on December 27, the Hamas leader predicted the “Arab Spring” would eventually bring victory to the Palestinian resistance and thanked the Sudanese people for their support (Sudan Vision, December 31, 2011). Haniya was joined in Khartoum by Khalid Mesha’al, the exiled Hamas leader, and Hamas co-founder Mahmoud Zahar as the delegation sought financial support for its reconstruction following the 2008 Israeli attack on the territory as well as political support for recognition of Jerusalem as the capital of the Palestinian state (AFP, December 29). Mesha’al was reported as warning the Sudanese president that Israeli authorities were trying to ethnically cleanse Jerusalem by “Judaizing” the city (Elnashra [Beirut], December 29, 2011; Jerusalem Post, December 30, 2011). Meanwhile, both the Sudanese and Israeli press have been full of unverified stories alleging Israeli military incursions and airstrikes in the Red Sea coast region of Sudan. In an attack said to have occurred in November, Israeli aircraft were reported to have struck two vehicles in the Wadi al-Allaqi area of northern Sudan near the disputed Hala’ib Triangle region along the Sudanese-Egyptian border (Haaretz, December 25, 2011; December 27, 2011). A second incursion was reported by Sudanese media to have taken place on December 15, involving Israeli Apache attack helicopters landing near a Sudanese radar installation and even Israeli submarines operating off the Sudanese Red Sea coast (YNet News, December 26, 2011). Sudanese officials denied reports that Israeli aircraft had carried out strikes on targets in eastern Sudan on December 18 and 22 (al-Bawaba, December 25, 2011). A pro-government daily reported that the men killed in a convoy of six Toyota Land Cruisers attacked by Israeli aircraft on December 18 were “gold prospectors” (Alintibaha [Khartoum], December 24, 2011). Israeli claims that Iran was shipping arms through Sudan and overland through Egypt to Gaza emerged in 2009 just prior to an earlier series of mysterious airstrikes in Sudan’s Red Sea coast region (Jerusalem Post, March 3, 2009). Scopas S. Poggo: “Politics of Liberation in the Southern Sudan, 1967-1972: The Role of Israel, African Heads of State, and Foreign Mercenaries,” The Uganda Journal, Vol. 47, November 2001, pp. 34-48; Rolf Steiner: The Last Adventurer, Boston, 1978, pp. 178-210; Edgar O’Ballance: The Secret War in the Sudan 1955-1972, London, 1977, pp. 126-130. This article first appeared in the January 12, 2012 issue of the Jamestown Foundation’s Terrorism Monitor. 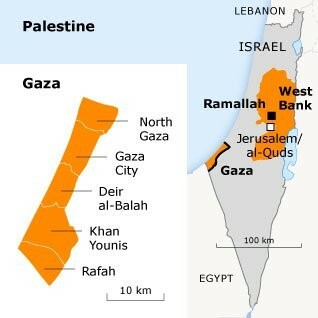 Despite their insistence that there is only one type of Islam, Gaza’s Salafists continue to operate as a number of separate groups and organizations with few apparent connections. One of the most militant of these groups is the Jaysh al-Islam (Army of Islam), known for its role in the 2006 Kerem Shalom attack that resulted in the abduction of Israeli soldier Gilad Shalit and the 2007 kidnapping of BBC reporter Alan Johnston. Jaysh al-Islam is also believed to have carried out a number of bombings against targets such as internet cafés and has engaged in serious clashes with Hamas, the governing body in Gaza. Jaysh al-Islam (a.k.a. 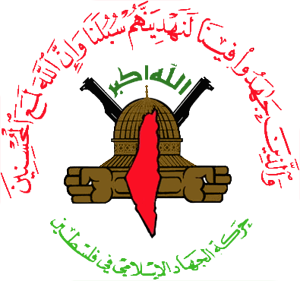 Katbiyan Tawhid wa’l-Jihad) is dominated by the powerful Dughmush clan of Gaza City. In a recent interview with the Palestinian Ma’an News Agency, Jaysh al-Islam spokesman Abu Umar al-Ansari described the ideological approach of the Salafist movement in Gaza, focusing in particular on Jaysh al-Islam’s relations with al-Qaeda, Hamas and Gaza’s Christian minority (Ma’an News Agency, May 19). Abu Umar began by defining Jaysh al-Islam as an Islamic group opposed to Jews, Christians, Shiites and Sufis. The movement espouses tawhid (monotheism), opposes polytheism and practices takfir (the act of declaring a group or individual to be infidel); all these traits are typical of militant Salafist groups. Though Jaysh al-Islam has been accused of bombing internet cafes, schools and hair-dressing salons, Abu Omar suggested the blame for these attacks lies with those who seek to create a state of emergency to eliminate the Salafist movement. The bombings also serve to create the perception of “violent Salafists” pitted against “moderate and centrist” Muslims. Israel’s assault on Gaza has brought widespread condemnation from the Muslim world, though no Muslim nation has dared intervene so far. In many cases this official position is at variance with popular sentiments, as in distant Indonesia, the world’s largest Muslim nation. With no Israeli embassy in Jakarta (the two nations have no diplomatic relations) and no Jewish population to speak off, Indonesian anger at the Gaza incursion has at times been hard-pressed to find an avenue for expression. The country’s lone synagogue, a barely used and rabbi-less building in Surabaya, has been the target of angry mobs shouting “Go to hell, Israel” while burning Israeli flags (Antara News Agency [Jakarta], January 8). An unlucky KFC outlet in Central Sulawesi province was overrun by 300 protesters enraged over US support for Israel, who fortunately restricted their violence to the furniture (Xinhua, January 8). Demonstrations have also occurred at Jakarta’s Egyptian and U.S. embassies. President Susilo Bambang Yudhoyono’s government will be seeking re-election in April, so it is being forced to address public anger at Israel while preventing non-government players from taking actions that might be outside the national interest. According to President Yudhoyono, “I’ve talked to Middle East leaders, to the Palestinian ambassador to Indonesia, to the UN Resident Coordinator in Indonesia…and [the conclusion is] additional weaponry, bombs, rockets, tanks, or air power are not what the Gazans need” (Jakarta Post, January 17). The government views financial and humanitarian aid as the best way to help the Palestinians of Gaza, though there are many in Indonesia who would prefer to see more material military assistance sent from Indonesia to pursue “jihad” against Israel for its actions in Gaza. Indonesia’s Armed Forces (Tentara Nasional Indonesia –TNI) already have a peacekeeping unit of 210 soldiers deployed in Lebanon as part of the UN Interim Force in Lebanon (UNIFIL). TNI chief General Djoko Santoso has indicated Indonesia is ready to contribute to another peacekeeping force in Gaza if required (Antara, January 12). There are a number of Indonesian Islamist groups seeking government support to send fighters to Gaza, including the Islam Defenders Front (Front Pembela Islam – FPI) and Hizb ut-Tahir Indonesia (HTI). In Bandung, West Java, the FPI is providing physical, military, and mental training to 40 recruits in a factory (Jakarta Post, January 16). In the Jember region of East Java, the organization says it has recruited 60 Muslim youth for front-line service against Israel (Jakarta Post, January 7). The recruits are receiving a brief period of training in the methods of Pencak Silat, a traditional Indonesian martial arts movement strongly associated with anti-colonialism. The FPI claims to have 4,000 volunteers for service in Gaza, but can only afford to send three to five fighters, who will receive a perfunctory ten days of instruction, though weapons training is not part of the curriculum: “We won’t be teaching them how to use weapons. They will have to learn in the field when we dispatch them to Gaza” (AFP, January 8). The Mosque Youth Coordination Body claims to have recruited 3,500 volunteers to either fight or provide humanitarian assistance, though it estimates only half of these will actually go to Gaza (AFP, January 8). Abu Bakar Bashir’s Jamaah Anshoru Tauhid (JAT) movement expressed hope that Egypt would allow passage of mujahideen and medical teams through Rafah into Gaza (AFP, January 7). Bashir is the former spiritual leader of Indonesia’s notorious Jamaah Islamiyah (JI) terrorist organization. The Ansor Brigades paramilitary, belonging to Indonesia’s largest Islamic organization, the Nahdlatul Ulama, is also training 78 volunteers for Gaza. Candidates need bring only a letter from their family and a health certificate. All expenses must be handled by the volunteer. Recruits are encouraged to develop spiritual powers that will allow them to fend off Israeli bullets and other weapons. The rival FPI eschews such traditional methods in their own training: “There is no immunity in the FPI. If we learn about such practices, how can we die a martyr?” Military strategy is taught to the Ansor recruits, but no weapons training is offered. The program has not been approved by Nahdlatul Ulama headquarters (Tempo [Jakarta], January 15).